Beauty products are developing exponentially, and the unique formulas and products are great to experiment with. 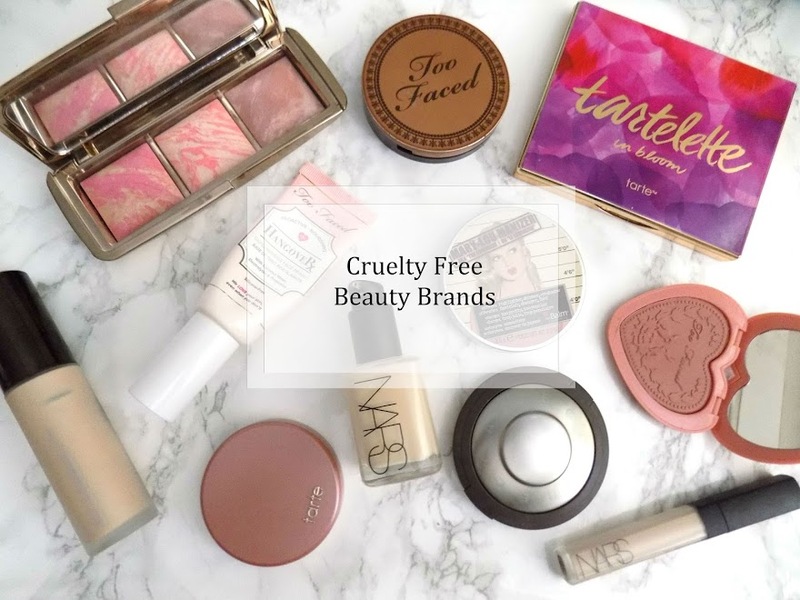 So I thought I would gather all my weird and wonderful beauty products and write about them. 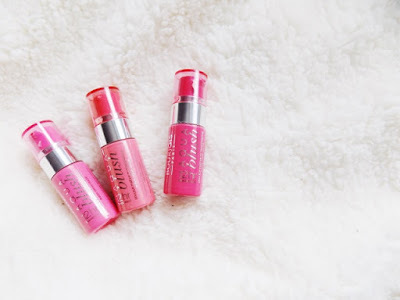 Starting with makeup, the first product is the Bourjois Aqua Blushes, and boy are these an unusual formula. They're a gel-cream kind of deal and when you apply them to the cheeks they're as light as water, and provide a subtle flush with a healthy and radiant finish. 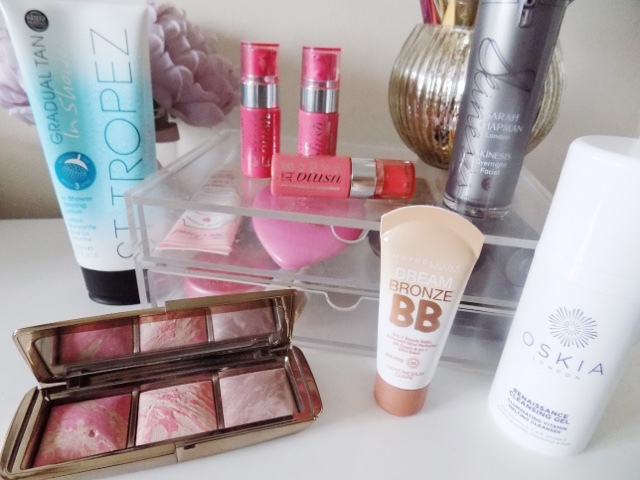 Cream bronzers aren't rare in the beauty market these days, but to me, they are. This is the first I've tried and I have to admit I am really liking it. The Maybelline Dream Bronze is a liquid/cream bronzer which when applied to the cheeks it gives a subtle bronze-y glow that looks so natural yet so beautiful. Great in the summer when you don't want much makeup on your skin but want to add some subtle definition and colour. This looks like skin, completely undetectable, and you can also mix it in with foundation to darken them up slightly if you have been hitting the (faux tan) bottle. Chanel holds the infamous Soleil Tan De Chanel which is a cream bronzer but so far I am perfectly happy with this drugstore offering. Next is more blushers and the Hourglass Ambient Lighting Blushes are such an incredible product that they earned their spot in this round up before I even knew I was going to write it. They're marbleized with the Hourglass Ambient Lighting Powders which are also worth a mention. 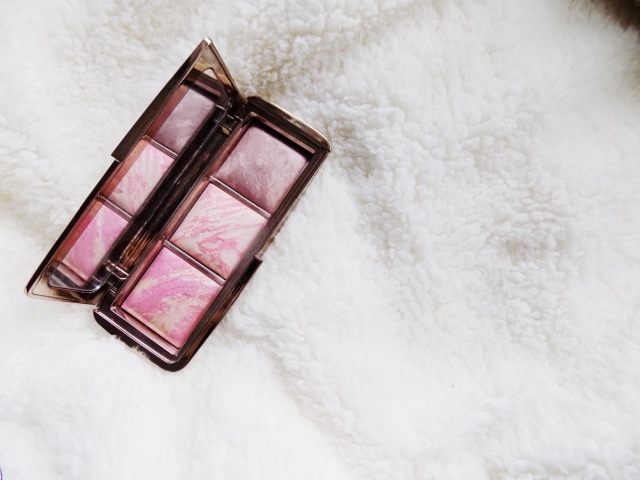 But the blushers have a light pigment with the subsequent powder and give such a stunning soft focus, radiant effect to the complexion that the hefty price tag is most certainly worth it. As for the powders themselves, well these are in a whole league of their own. They give the effect of being in different lighting so your skin looks like radiant light, dim light, diffused light and a few others, they just look stunning and no other powders I have tried ever give this look on the skin. 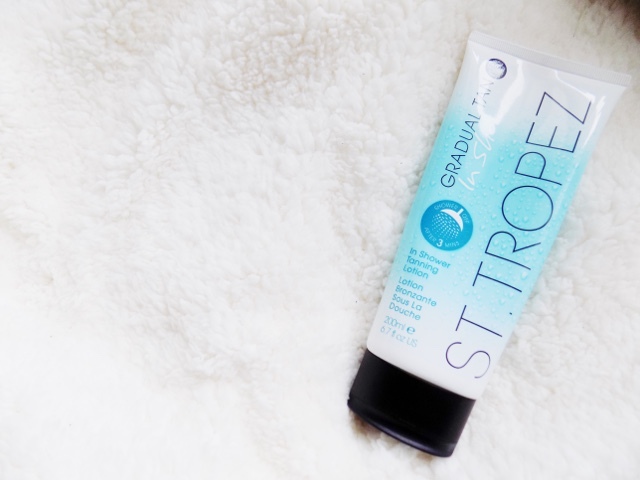 The main thing that has stuck out to me this year when it comes to body care, has to be the amazing new launch from St Tropez and that's their In Shower Gradual Tanner. It's the first of it's kind and when I heard about it I thought "what the eff?" (s'cuse my language, I really did think that) a self tanner that you use in the shower and build up on the daily for a summer tan? How bizarre. By no stretch of the imagination is this perfect. 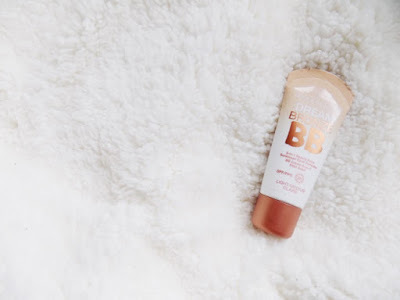 It has some kinks that need to be rolled out in my opinion, but it's a pretty good time saver and if, like me, you hate waiting for self tanner to dry before you can get dressed and then develop so you can wash it off and admire your bronze-y goddess-ness then this is definitely worth a try. Onto skincare now and this is the area that I have learnt so much about, more than any other category. It's so complex and there's so many variables. But these are definitely the most unique and wonderful products I've used. 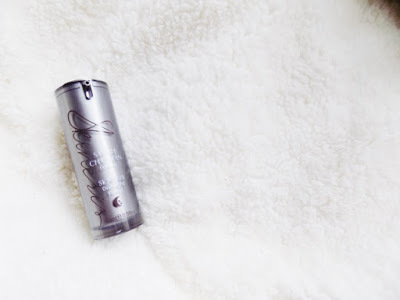 As for the Sarah Chapman Skinesis Overnight Facial, this is fairly new to me but I have been trying it out for about a month now and although there are lots of oils for the skin, this one is just a miracle in a bottle. 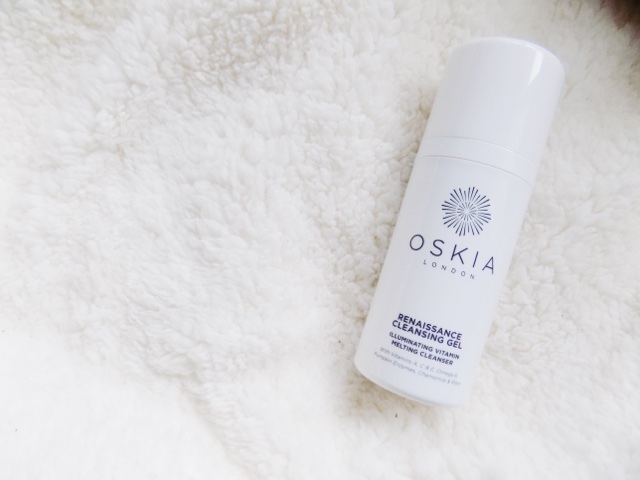 It's everything a facial oil should be and as the name suggests, leaves your skin looking and feeling like you've had a facial done when all you've really done is gotten a few hours zzz's whilst this works it's magic. It's flipping fanta-bulous. The Oskia Renaissance Cleansing Gel is marketed as a gel, it looks and feels like a gel until you start to massage it into your skin then it turns into a balm/oil. It doesn't make my skin feel dry or uncomfortable but it cleans every last scrap of makeup and dirt from my skin and leaves it feeling nourished. I love this stuff and I can honestly say I don't think I will use any other cleanser. What are the most unique beauty products you've tried?